This wonderful piece is brought to you straight from Italy. 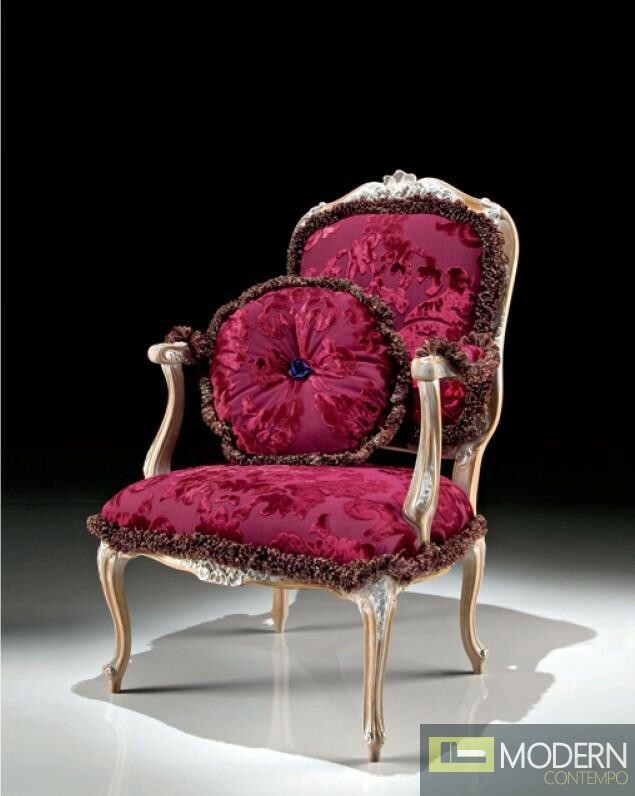 The arm chair is constructed of carved hardwood and given a metallic finish. The seat and seat back is upholstered in a red fabric with velvet detailing. This Italian piece is stunning.